← Into the Tetons. Our 4 Day Backpacking Trip Along the Teton Crest Trail. Aspen in Rocky Mountain National Park. I’ve been working my way through the third third of this round. And with each passing day, my performance in this part of the program is improving. Today, I finished Day 80. So only 10 more days in this VERY LONG round that began on June 2. This final push is taking place with fall tennis season once again in full swing. Again, I’m playing both singles and doubles. Again, with mixed results. Again, fitness is not the issue. It’s the talent that’s lacking. But, I’ve had some good matches and we have been enjoying some pretty nice weather here in Atlanta. Which is not to say that we’ve been confining ourselves to Atlanta. 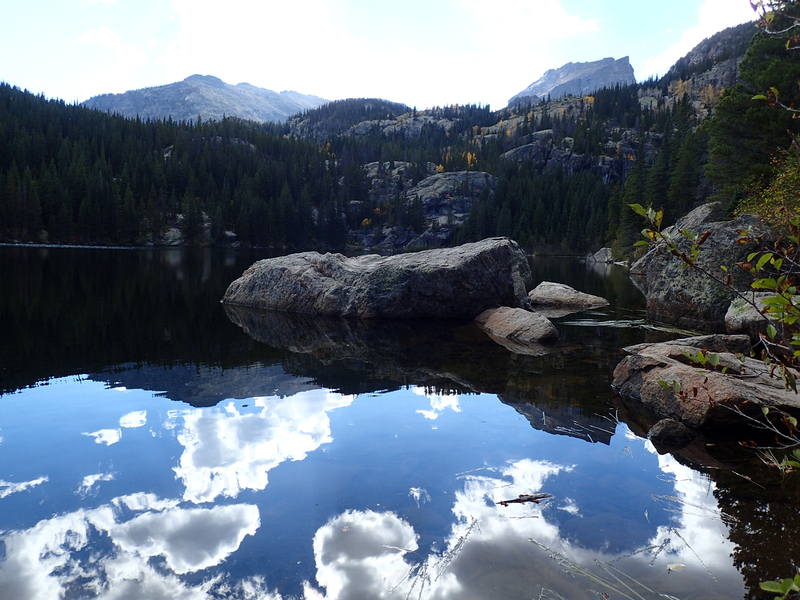 We spotted good airfare rates to Denver so we snuck out there for a four day weekend up in Estes Park and Rocky Mountain National Park. 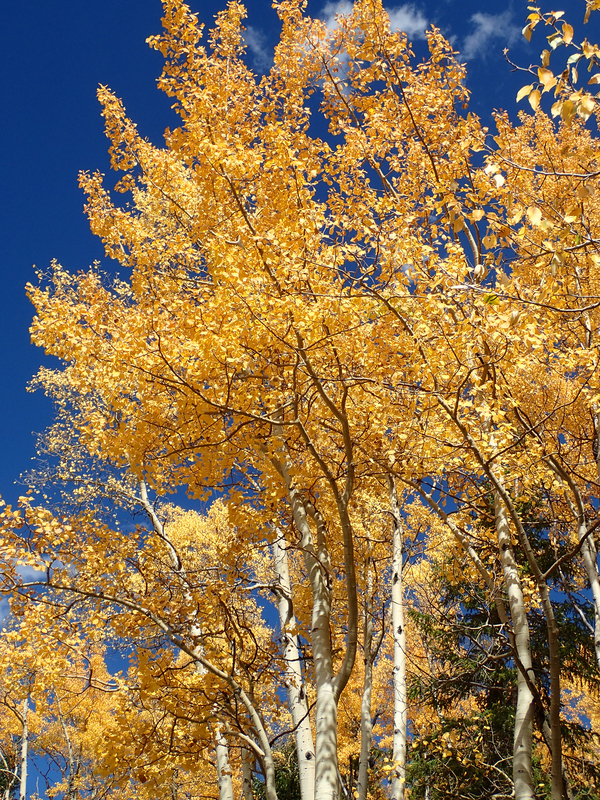 We wanted to take in the turning of the Aspen leaves and just generally enjoy the scenery. Here are a few select shots. 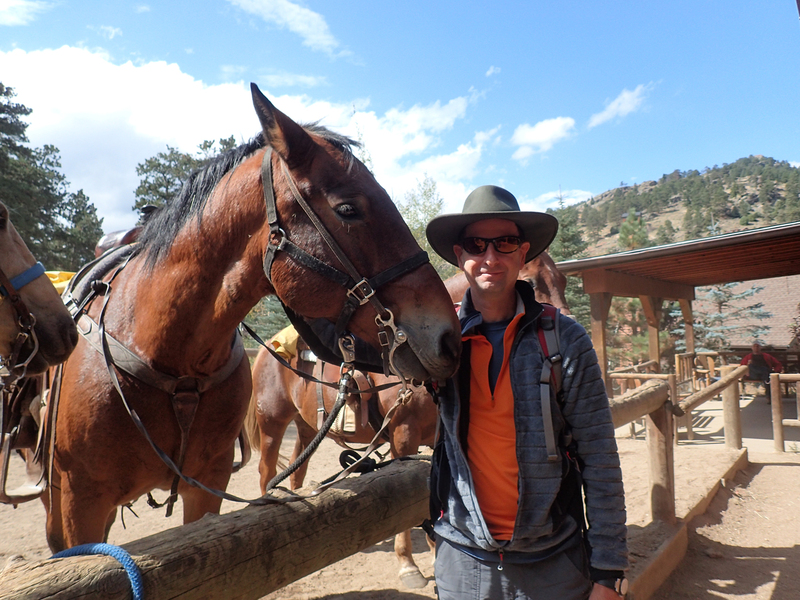 Yes, we went for a two hour horseback ride up and down a mountainside. This was a new (and fun) experience for us. But let’s just say there was no need to work the adductor muscles for the remainder of the week! 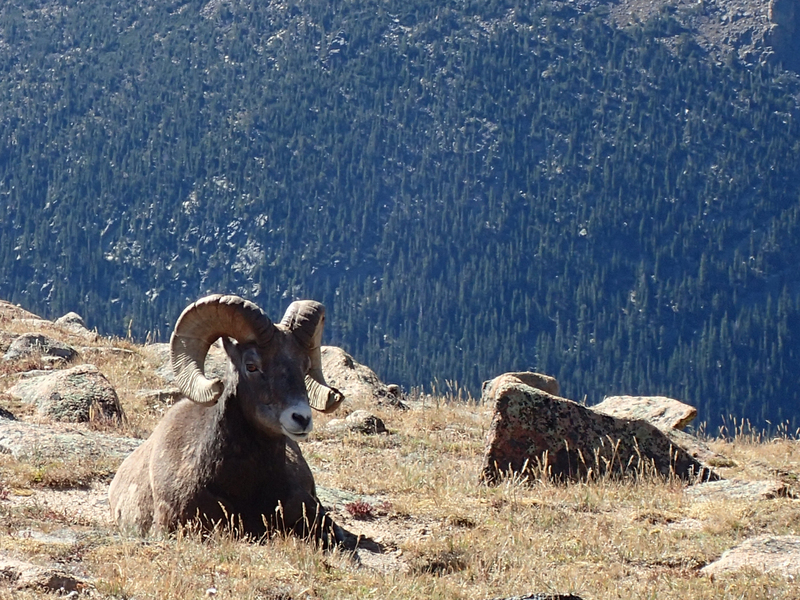 This entry was posted in hiking, P90X3, Round 11, Travel and tagged Hiking, P90X3, Rocky Mountain National Park. Bookmark the permalink.